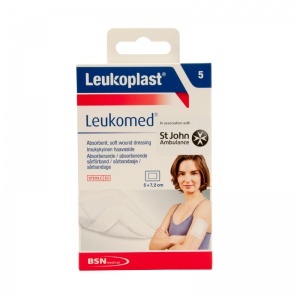 The soft and absorbent Leukoplast Leukomed Absorbent Wound Dressing 5 x 7.2cm (Pack of 5) provides secure yet gentle wound protection for cuts, grazes, abrasion and other minor wounds. The latex-free, skin friendly dressing offers long lasting protection while the soft absorbent pad keeps the wound clean and dry. The highly adaptable Leukomed Absorbent Wound Dressing offers comfort and protection in dressing cuts and wounds. Resilient and durable, the soft and sterile dressings are ideal for a multitude of cuts, abrasions, grazes and minor wounds. The highly absorbent dressing makes sure cuts and wounds are kept dry. Providing a skin-friendly cushioning effect, the Leukomed Absorbent Wound Dressing offers added protection against infection or contamination. 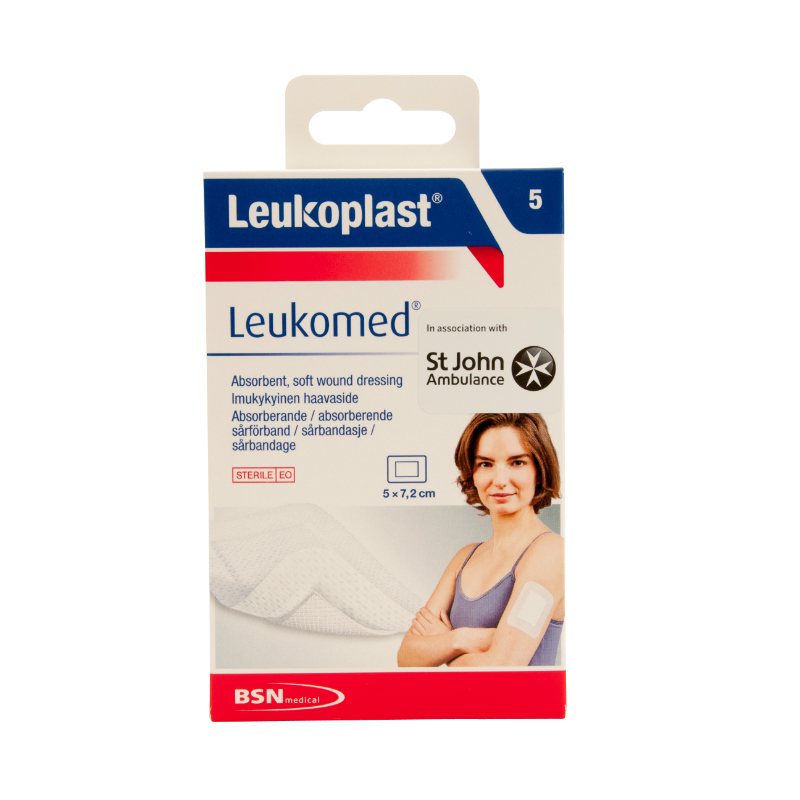 The Leukoplast Leukomed Absorbent Wound Dressing 5 x 7.2cm (Pack of 5) is usually dispatched via First Class Royal Mail and delivery should be within 1 to 3 working days.